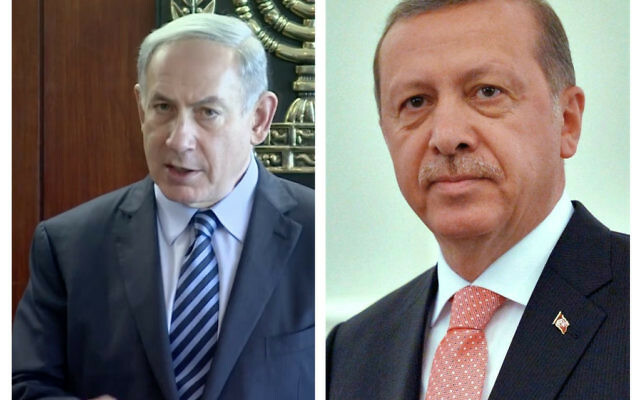 President Recep Tayyip Erdoğan of Turkey threatened to halt steps being taken toward normalisation with Israel if it does not end its support for an independent Kurdish state. “If Israel does not reconsider its support for Kurdish independence, Turkey will not be able to take many steps we would have with Israel, too,” Erdogan said Tuesday, the day after a non-binding referendum by Iraqi Kurdistan on whether to seek independence. His remarks were reported by the Turkish Daily Sabah. Turkey and Israel are working on repairing ties that were broken after an Israeli raid on a flotilla trying to break the naval blockade of Gaza in 2010 left nine Turkish activists dead. The countries began re-establishing diplomatic ties last year following an apology by Israel and the payment of £14.9 million ($20 million) in compensation to the victims’ families. On Monday, 78 percent of 5.2 million eligible voters turned out for the referendum. The results are expected back Thursday, and an overwhelming “yes” vote is predicted. Turkey and Iran, which share their borders with Iraq, also have sizeable Kurdish populations, many living in those border areas. Erdogan said Turkey would initiate political, economic, commercial and security steps against the Kurdistan Regional Government in response to the referendum. Iraq has threatened a military response. 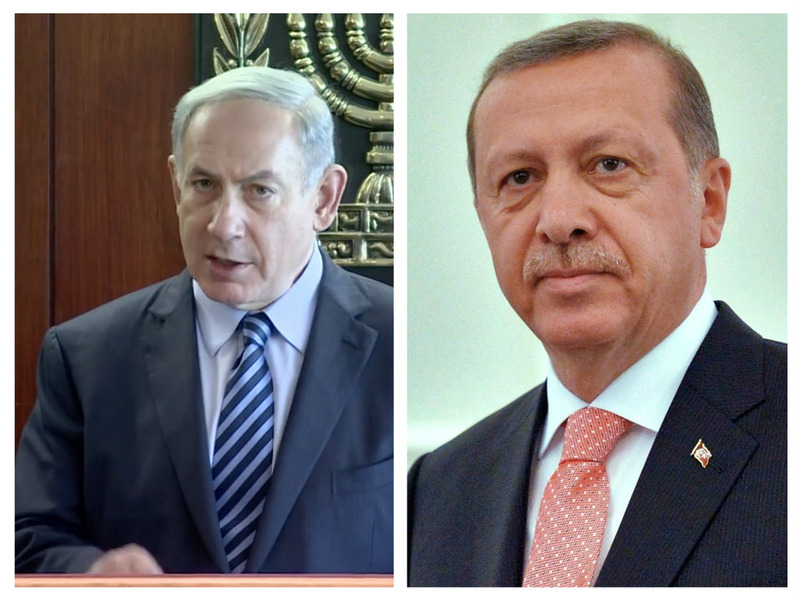 “A referendum was conducted in northern Iraq, and only supported by Israel,” the Turkish leader said Tuesday. “If the PKK is celebrating before the ballot boxes are even opened, there is no innocence or legitimacy there. This should be known as that. The results are also shady in this referendum, which how and under what conditions it was conducted, is unknown. The United States and the United Nations have not voiced support for the referendum, fearing it will destabilise the region and harm the coalition against the Islamic State.